The last million came in under five months while the first took over two and a half years. The purpose of sharing this is for all budding bloggers and writers to be persistent and relentless in their pursuits. The question I am asked most is whether it has impacted or changed the MSM in anyway. Well, in a very tiny, small way yes. But what’s the real change? We know by now that the news media, as it should have been, is dead. What we have is “political media”. Editors and anchors are part politicians and most are even election campaigners. Almost everybody understands that. If I wanted to quit or cut down smoking, it would be silly to ask cigarette companies to produce less or shut down. Wouldn’t it? We can’t change them. What we can do is change ourselves. That is within our power and control. That is what MC does. It just attempts to change the way we consume news, opinions and sift the data from the garbage. MC is not alone, there are many observes and writers who are doing a wonderful job in this and I applaud all of them. I am also pleased that many readers of MC have started their own blog and are now writing about the media or issues that concern all of us. At the 2M mark I am also pleased to announce that consequent to many readers urging me to compile all the posts into a book I have decided to come out with one. There’s a difference though. It is not merely a compilation as the content here on MC is free. So I wrote totally new content for the book. 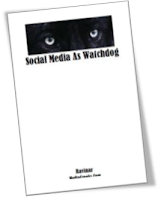 It’s titled “Social Media As Watchdog”. The book tells the story of Social Media arriving as a watchdog over MSM and how there is no monopoly on national discourse anymore. It doesn’t write history but looks at the current state of affairs as it stands. The book has 9 freshly written chapters which uses just over 50 of the most popular and relevant posts from this site (of over 400+ articles). Additionally, I also share a list of books and movies that most influence the content on MediaCrooks. These are like little secrets. There are many blogs and sites I admire but in the book I have listed a dozen such sites which most analyse and offer commentary on the MSM. These 12 are some of the best sites that I would encourage any concerned citizen to follow. I also thought I would share some unique writing secrets for readers and budding writers. No, I am not claiming to be an expert but there are some writing styles and tactics used by MC that I have so far not shared. I thought the 2Mn mark is a good time to add that chapter to the book too, as a token of my gratitude to readers and supporters. I can also happily share with you that I am honoured that Prof. R. Vaidyanathan of IIM Bangalore has written the foreword for the book. He is a finance & economy expert and a keen observer of media himself. Prof. Vaidya (@RVaidya2000 on Twitter) is a respected scholar and teacher. He also writes for various newspapers and sites and often appears as a TV panellist but is not one of the MSM persons. The 2Mn mark is just a moment to treasure and move on. MC will continue and will soon add an interactive feature on this page so that readers can directly ask questions and offer suggestions. Will keep you posted on this. In the meantime, Thank You all once again. How Can i write articles in this website? HA HA HA HA HA I am the first one to comment May god give you strength and courage to to write with same honesty . Stuff that grows in GP is worth investing (time/money) in - or should I say vice-versa? Congrats, and let the crooks become more restless as today. The difference you have made is not tiny, but huge. Look at the way all these paid Journos have started minding their words. Their gaffe's are less in number. Congrats. Congrats @mediacrooks...May this 2Mn grow to 3, 4, 5 and more in no time. I have already sent mail to the publisher for your new book. I cannot wait. Bloody Crooks minting money? Put it on line for free. You want it free? Valuable things are not free! Ravinar is doing a great service to the nation. I see no harm in him publishing a book and making some money. He has been writing for free all these years. When we pay for something we tend to value it more. You are our answer to all the crooks in media. The only people who will not like you are #Traitors/Sycophants/CONGIchamchas and you are loved by all patriots. Looking forward to your books. 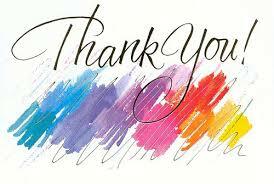 you have made a lot of positive difference in the way we look at Media scoundrels & their machinations. You have put into so many words what men like me Know but fall short of the capability of expression. Congratulations to you. May you keep exposing the ones who are falling awfully short of their national duty. Many many congrats. You have blessed us with your posts. I can say about myself how the haze regarding MSM got cleared by your posts. I always wondered why some of news channels report in a particular way? Not any more .Now everything is clear. No confusion.Thanks a ton once again and all the best wishes . I request readers of this blog not to misunderstand this site as a service center for mainstream media. As sir has pointed out the purpose is to change our (readers and viewers) perception. Congratulations..looking forward for the book!! there is a world outside the english media. Majority of the people read local papers.I am a newspaper agent and i am reading almost 5 malayalam dailies. there is no MC to expose crooks of these media. I certainly lack the writing skills to leverage the masses like you have done otherwise i would have started. dear sree, more than the writing skills its the fire in the belly that's needed and i do see some of it in you. your intent is positive and there is no reason why you can't do it. i would just like to say that if your intent is positive and your motives are honest, even god will help you in your endeavours. this blog and this author can be a wonderful source of inspiration, just see how he has gone from strength to strength. Congrats and God Bless you!!!!!! Hope to read many more such incisive and enlightening Posts from you in the coming days,weeks and months...............I hope you realize how much you have contributed in how ordinary people like me now look at our MSM and also politicians of a particular hue...Thanks a lot. Congrats and My heartfelt best wishes for your yeoman service to the nation. I was never a great fan of blogs, until I was directed to your blog via twitter and was a skeptic!. Now a die hard fan of your blog in jargon-less language and some fascinating anecdotes. I visit your site frequently to check out for updates. 'll get my family in India to order your book and ship it to me. You are history in the making in the Indian SM space :) One again wish you all success. Congratulations on this important milestone. I am looking forward to read your book eagerly. Your blogs are indeed a guide for budding bloggers to learn about skills in quality presentation and writing. Thanks for all the hard work in making available such gems of posts for free. Congratulations Ravinar! Keep up the good work. My best wishes for Media Crooks. Let Media Crooks scale new heights. God Bless! Swasti! You are doing the best service to Indian society. I feel your critics might be having one concern about your tweets and blogs that why you always defend BJP. I request you to write a hard hitting article on the topic of difference between BJP and Congress. Good observer and an amazing writer..
Congratulations Dearest Friend, Ravi. Personally I am thrilled at every single milestone that mediacrooks.com crosses and achievements it makes. Absolute focus - Media Watch - is what makes it extremely interesting, useful and educative too. Cannot but help recall that long evening we all spent together in Bangalore and even in a face to face discussion it was about MediaCrooks and less about Ravi. No wonder you hit 2 million - I am sure it would double in far lesser time. MediaCrooks deserve all the glory and more and the author even more for not being selfish to promote himself over the brand. Salutes and all the very best! Hearty Congratulations on this significant milestone! I joined twitter in Feb'11. And, I started following you, apart from few others, some media reporters, anchors, and others of interest. Before coming on twitter, I spent quite a bit of my spare time writing comments (as demo-crazy / democrazy / equateall) on various news sites, interacting with others. I had not seen any major change in spite of so many people criticizing them. They could control one's comments, delete them, delay them. Then, Twitter & Facebook changed it all. It gave the readers the power to go viral with their views, pointed witty barbs. Since many could directly hit the inbox (mentions), they couldn't hide from us anymore. I have followed your blogs, reading many of your posts since those days. Although your effort has been just a little more than two years, what you have been able to achieve is tremendous. I have felt, you have become ONE MAN ARMY against biased MSM. About 4-6 months ago, I said you have shifted gears! There is so much freshness to content, in spite of it looking at the same media, same people. I now read not for the media's bias, but for your amazing connects of seemingly, unconnected thoughts. That dental narrative in one of your posts was superb! We used to hear many, who said you are anon, and they feel you belong to some party! When some of us who had the opportunity to meet you, tell them that he is a neutral person interested in a media that is factual, unbiased, or, at least us, the viewers / readers, know what to expect from media, they begin to understand your focus. I agree that if media is neutral, and factual, democracy can deliver more effectively. Thank you. May you go from strength to strength. I am sure, this blog site, and, this brand MediaCrooks, will be permanently etched whenever India's contemporary media's history is written. And, it will be totally unbelievable, and unpalatable to some with vested interests, that ONE man could shake up their empire, and create so much awareness among the 'educated-ignorant' about media! The David who shook up the Media Goliath! You and Sandeep have been awesome, a source of inspiraton for me, and it is the sheer focus of your work that has made you what you are today. Hi Ravi, Can you please put a soft copy on Amazon and Apple store? Let me get at least the paperback version out first... that itself is quite a task.. Haha.. Will get to Kindle and soft copies a bit later..
Congratulations! I am estimating, by the end of 2013, the number will be more than 10M! How do we order the book to get it in US? e-book is a good option, but I would still want to have the hard copy. Is there a possibility to order it online? How can an NRI buy your book? Yes......I live in Gulf region and I want to buy the book.....But how? Yes i did have a look. Thank you very much! Congrats Ravi!Good Job.. Though I don't comment here I hit your blog accidentally during Radiagate episode and ever since then have been a regular reader. As many have commented here, the blog became an addiction the moment I read that post. Lucid writing style filled with facts, sprinkled with interesting cross references & parallels, precise to the subject and thought provoking is what makes your style of writing interesting. Thanks for coming out with the book it provides an opportunity for people who are still not accustomed to computers/internet a chance to read your articles. Heartiest congratulations sir, you are doing a yeoman service to India and educating a full generation. Looking forward to many such illuminating posts and the book. I dont know if Ravinar himself knows what a valuable service he is doing to our country and how grateful we - the ordinary people of India - are to him. The best reward for Ravinar will come when we win in 2014 and Modi becomes the PM. Inshallah !!! A proud moment for the forum led by a dauntless warrior. As Mr Suresh has pointed out rightly, the promotion of the brand than the brand ambassador attracts like minded people to this forum. Congratulations, Ravi! Looking forward to reading the book. Congrats for the 2M milestone. Hats off for your determination. Congratulations and keep up this excellent effort. Whether MC has had an effect on MSM or not, it has certainly opened the eyes of many of us. Congratulations for this milestone. May you achieve next milestone (3 million mark), in still lesser time. 'Speak the truth before God. Now we all can see the truth. Congratulations on yr 2 million. May this be the start of many more millions to come. Good one! That's also the last quote from one of my favourite movies "Raging Bull"... Haha! 1. The book will be available online as soon as it is released by the end of this month. At the time of book release forms of payment will also be advised. 2. The rates for NRIs may be higher due to delivery/courier charges but will be available anyway..
Adani group involved in Coal Gate scam is platinum sponsor of Wharton India economic forum event along with Indian Govt (Incredible India), high possibility pressure came via Adani group(behind scenes Indian govt)? Just now I read in NBT that adani group has withdrawn sponsorship as a mark of protest ag cancellation of NaMo's speech. Keep it up. you will keep the MSM on a tight leash. sirjee!!!!!!!!!!!!!!! a million congratulations, you pushed so called MAIN STREAM MEDIA to the fringes in the court of people........keep going sir with your renewed vigor and enthu. Great show. Congrats on the 2 million mark. Your blog is an addiction. It is also a landmark in its critique of the MSM. God knows how many of our countrymen are still being hoodwinked by this corrupt government and their paid media dogs. May you attain maximum reach in order to let truth touch the masses. Best regards and wishes in your most honorable endeavor. congrats! was waiting 4 this since last few days.. many more milestones 2 reach. I am the regular reader of your blogs since long time. Now as a web application engineer, i just want to ask that how you are counting the visitor count of your website.. Are you using Google analytics report which show the number of visitor OR you ad some widget installed that shows the visitor. I am not saying that the website cannot go its visitor double in just 5 months but my point is had you excluded the various crawler agents/bot like google,yahoo,bing etc visit of your site from this count. I had doubt that the count you were seeing includes the visit of various crawlers which are not/should be counted as SITE visitors. OK. now if you are depending on the widget that you had installed on the right top side which shows the "Total Pageviews" and the number, then you are mistaken by the number. That widget includes the count of all the crawlers/bots. If you refresh your page in every 2 secs than also you can see the number increase each time. You should use Google Analytics of this kind of things. 1. The site's content is free, therefore I do not measure views/hits from a marketing point of view. Thus, I presently dont need Google Analytics. That would only serve academic interest. 2. The pageviews widget is of Blogger itself and tamper proof as any other blogger will confirm. Therefore, even if it has some element of crawlers etc. its a fairly good indicator. 3. This site has Ad Sense. Google Ad Sense figures more or less are pretty close to the page views. Ad Sense would not pay for Crawler visits. There is also another widget that measures the views which is not visible to public. 4. If the site pageview shows a changed figure when you refresh, its because other visitors are viewing pages even as you are viewing it. Most of all, I have observed the figures since the start of this blog so have a good idea of the progress. And since the measure has been uniform for 3 years that consistency is fair to use for numbers. Wow! Double Congrats on two achievements 2mn & book release! Keep it up! Best of luck! May your book get into the top 10 lists! Please publish in Google Play Books and Amazon as well !! Eagerly waiting for your book. Congrats!Keep it up.Looking forward to your book. Ravinar, congrats. When I saw your blog on 1M mark, i knew, the next milestone will be sooner. People are realizing and for many, MC is their voice too. I've read all your blogs but I would definitely buy a copy just for the reason that I support you and would encourage you to write further. I have more respect for you than any other TV Reporter/editor or news person. It requires great courage, patience and time to maintain a site like these and really appreciate your hard work. More than anything, you are inspiring people. Cheers, VS.
Congrats Ravi. You deserved it. Cheers & Best. Prabhu Jagannath Bless. Congratulations!, I started following your blog when you had just or was about to cross the million mark, and 2 million seems so fast. Ravinar, you are a big inspiration. Let your blog hit 10 Million in coming 6 months and a billion within an year. May the Supreme Lord inspire you to continue your noble job and reach great heights. Looking forward to reading your book. All the best ! Congrats, knowing you as we regulars do, it is hard to believe that you have accidentally exposed the good Professor to media crooks and others. Looks like you have decided to shed anonymity. My heartiest congratulations on reaching this milestone. Your journey is tough and hard. Anti-Nationals, Corrupts, Criminals have joined hands with MSM to destroy India, in return for a fistful of dollars. What you are doing is a great service to Mother India. Let Ganapathy, Shiva, Devi, Krishna and Laxmi bless you and help you. My humble Namskar. Congrats Ravi. Hope this effort continues.